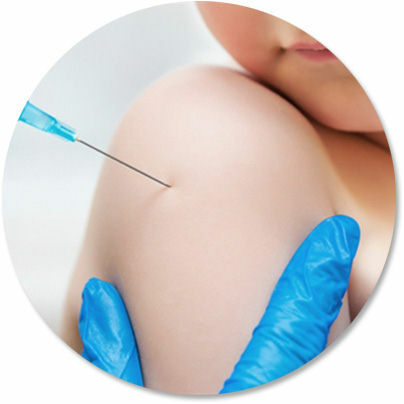 At Carlingford Court Medical Centre, we are your childhood immunisation experts. Our nurses immunise hundreds of children every month, maintain ongoing education, and can provide a full range of support and services to our patients. We stock all childhood immunisations in our dedicated vaccine fridge which is Accredited to AGPAL standards. Our immunisation services for all children on normal schedules (on time) are fully bulk billed. Simply phone us to make an appointment, or book on-line with any doctor, 7 days per week. We are also able to provide catch-up schedules for overseas patient’s, or Australian patients who have fallen behind schedule and now need to be ‘caught up’. A one off fee of $20 applies for patients needing a catch-up program arranged, and the turn-a-round time is 4 business days. If any vaccinations are then required, an additional appointment with the doctor will be required. This fee includes contacting ACIR and updating the records for the patient of any immunisations done elsewhere or overseas. If you want the schedule arranged faster than 4 working days, or on a weekend, the fee is $100. All vacations given at the practice are automatically entered onto the immunisation register ACIR for your convenience. If there any problems you may contact our nurses who will rectify any issues related with the online ACIR. However, please check the links below first as most of the time, the problem is related to the linking of MyGov and your ACIR account. If your child’s immunisations are listed on ACIR (but not on Centrelink), this is a MyGov linking problem and you need to contact Centrelink. If you can’t find the answer in need help?, you can call the myGov helpdesk on 13 23 07, select Option 1.
in local Australian time zones.